STANYS recognizes excellence in teaching and individuals who have made outstanding contributions to STANYS and to science education. Awards are presented in November of each year at our STANYS Annual Conference. The Nomination Form ( a form style PDF) can be filled in, saved and submitted by email. The first step in the award process is the Nomination of the individual by submitting the Nomination Form. Once the nomination has been accepted by the committee the next step depends upon the type of award. There are two types of awards. Awards for which, after nomination approval, the nominee must file specific paperwork such as: application, letters of recommendation, an essay. The "paperwork" requirements are listed on the web page for the specific award. Awards that require nomination approval only. These awards are granted based upon merit as recognized by STANYS Leadership. A Nomination Form is submitted. - We would appreciate your sharing with us who you are and who you would like to nominate for an award. We need this information whether you are nominating someone else or if you would like to be considered for an award. Upon approval of the nomination, the nominee will be contacted by STANYS to inform her/him of the nomination and of the process. This will also provide a contact person for the individual should they have questions or need assistance. Most of the guidelines and applications are available on-line on the web page(s) related to each award. Nominee or their representative submits "paperwork" if required for the award. Once the required documentation (applications, letters, ...) becomes available to the committee, decisions will be made as to the qualifications of the individual to receive the award. The committee will contact the individual with the results of the process. This award is the the highest honor that is bestowed upon a member. Fellows have served with distinction in the classroom and professional organizations. Their leadership and scholarly endeavors in science education are noteworthy. The Anton Banko Award recognizes a K - 6 educator who is an outstanding teacher of science. 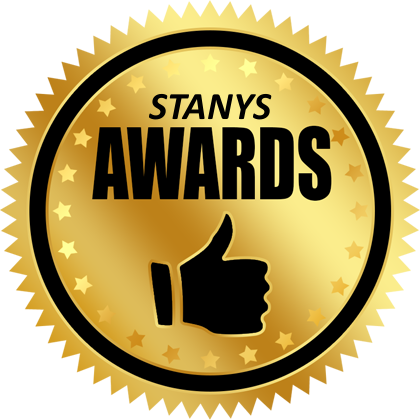 The award covers expenses (up to $1500) to attend the STANYS annual conference and provides a $1500 stipend to be used at the teacher's discretion. The award is presented at the STANYS conference in November. Recognizes the future promise of a new teacher. Honors an intermediate, or high school teacher who demonstrates excellence in science teaching and is involved in professional activities. The Champion of Teacher Development Award honors building or school district administrators who promote continued professional learning of science teachers. This award is open to educators with responsibilities for supervising teachers of science at any grade level. Awarded to those individuals who have given outstanding service to STANYS. promoting excellence in science education for all students in New York State. Awarded to the Sections of STANYS that have the greatest increase in total membership and the greatest percentage increase. Presented to individuals who have made an exceptional contribution to science.